This weekly serial introduces some of the characters from the ISLAND REFUGE series. The first full book in the series will be published in Winter 2016. Born and bred to become the perfect princess in the Chicago socialite scene, Rosemary's dream of becoming an artist was cast aside by her demanding family. Until the day when Rosemary had enough. With her trust fund and a car full of belongings, she left her family behind and drove east -as far east as possible- until she found the perfect island to open her jewelry shop. It was also the perfect place to find her own path. Everything was going along smoothly... and, just maybe, a little lonely... until she meets Erik Thorne. Raised in his father's brewery -and always knowing he would inherit the business someday- Erik had it all too easy. Then his reputation as the party boy who refused to grow up eventually caught up with him. Now he owes everything to his brother who was willing to move away and start over somewhere new. 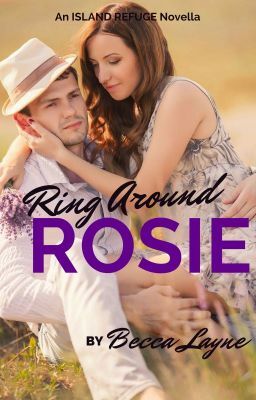 Everything was going along smoothly... and, just maybe, a little boring... until he meets Rosie.